Folding screens, each painted and parcel-gilt panel inset with spotted mirror inside a conforming gilded molded frame, accented by a large rosette. Each panel measures 17" wide. CONDITION: Excellent. Desirable wear to finish. 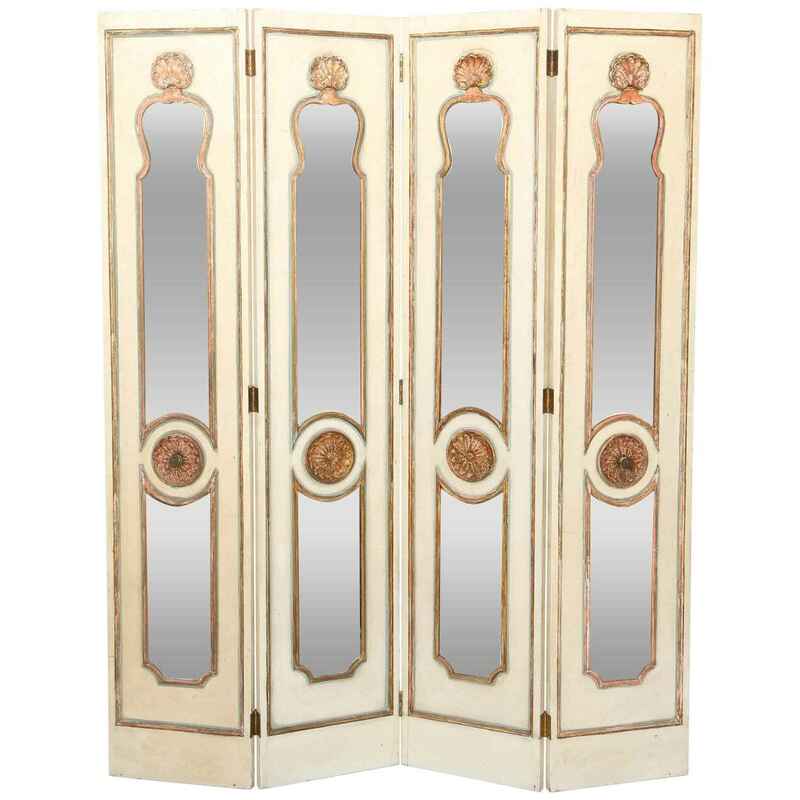 Folding screens, each painted and parcel-gilt panel inset with spotted mirror inside a conforming gilded molded frame, accented by a large rosette. Each panel measures 17" wide. CONDITION: Excellent. Desirable wear to finish.